The British media has, over the past few years, developed something of an obsession with the drinking habits of the nation’s youth. 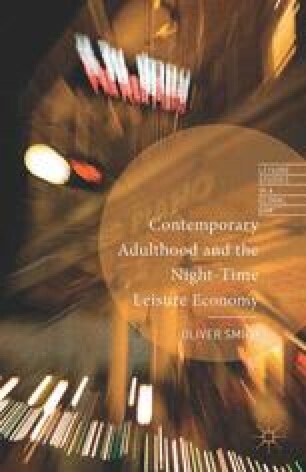 Graphic television programmes document the debauched nightlife of some of the UK’s major cities and towns, while the pages of broadsheet and tabloid newspapers are littered with tales of excess and litanies of concern over the ‘new British disease’. It is therefore hardly surprising that the issue has attracted increased interest within the academic fields of sociology, social policy, anthropology, health economics and social psychology. Academic, media and public interest have centred predominantly on the binge drinking behaviour of young people in the UK. Aside from concern surrounding underage drinking, many column inches, parliamentary discussions and pages of journals have been dedicated to the drinking behaviours of 18–24 year olds. Alcohol consumption among young people within this age bracket has been linked with crime and disorder, with violent incidences being exacerbated by a number of environmental factors such as noisiness, crowding, poorly maintained premises, inadequate seating and door policy as well as irresponsible serving practices (Hadfield, 2006).